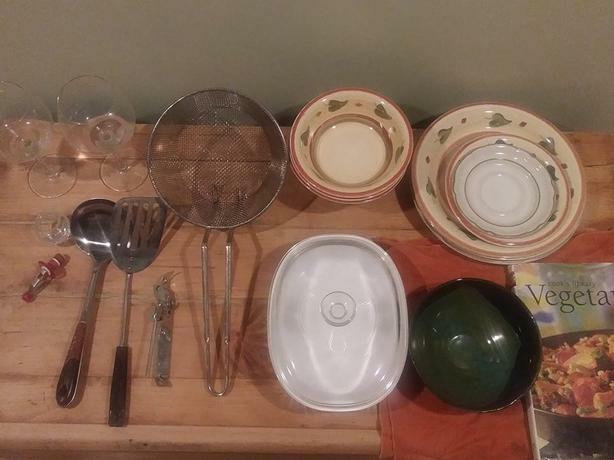 I am moving provinces and am selling kitchenware that I cannot take with me. Everything in the photo must go asap! I am selling everything in one go, so you do need to take everything, which will be nicely packed up for you. Please email me to arrange pick up. I'm in NDG.